May 30, 2018 -- The number of people around the world with dementia is staggering -- and growing. The mind-robbing disease has no cure, but recent research is beginning to show how you may best be able lower your chances of getting it. “It’s not yet definitive, but in the past 5 years, we’ve made progress on identifying modifiable risk factors for which the evidence is pretty strong,” says Kristine Yaffe, MD, professor of psychiatry, neurology and epidemiology at the University of California San Francisco and director of the Memory Disorders Clinic at the San Francisco Veterans Affairs Medical Center. At least one risk factor, getting older, is unavoidable. But scientists say there are lifestyle choices that may lower the odds in your favor. And while it’s never too late to benefit from healthy changes in your life, studies show that starting early may mean extra protection decades later. “Research from the past 2 to 3 years suggests that risk factors need to be focused on in midlife,” says Keith Fargo, PhD, director of scientific programs and outreach at the Alzheimer’s Association. Consider high blood pressure. In a study published last August, researchers followed nearly 16,000 adults ages 44 to 66 for 24 years. They found that people with high blood pressure in midlife had a nearly 40% higher risk of dementia. A 2014 review of previously published studies estimated that midlife high blood pressure led to as many as 425,000 cases of Alzheimer’s disease in the U.S. each year. But, advises neurologist Douglas Scharre, MD, you should pay attention to your health no matter how young or old you are. "If you have any dementia risk factor identified at any age, that is when you should be addressing or trying to control it," says Scharre, director of the division of cognitive neurology at Ohio State’s Wexner Medical Center. It’s estimated that 82 million people worldwide will have dementia by 2030, according to the World Health Organization. In the United States, an estimated 14 million will have Alzheimer’s disease, a leading cause of dementia, by 2050, more than double the current number. Dementia causes a slow decline in thinking skills. It affects memory, mood, language, and other functions of the brain. People with dementia eventually become unable to live independently and require around-the-clock care and attention. Alzheimer’s is the leading cause, followed by stroke and other conditions that damage blood vessels can cause what’s known as vascular dementia. In addition to maintaining a healthy blood pressure, evidence has been building that keeping other heart health factors, such as cholesterol and diabetes in check, may lower your risk. In a December study, for example, researchers reported that type 2 diabetes appears to cause brain changes that could harm memory and other brain functions. Another from earlier this month found that cholesterol seems to encourage the buildup of proteins in the brain that are believed to play a major role in the development of Alzheimer’s disease. “Managing your blood pressure, your cholesterol, and, if you have it, your diabetes, will likely lower your risk of dementia later in life,” says Jagan Pillai, MD, PhD, a neurologist with the Cleveland Clinic Lou Ruvo Center for Brain Health. During sleep, the brain cleans house, flushing out toxic buildups of beta-amyloid, a protein that has been linked to Alzheimer’s disease. Poor sleep hampers the brain’s ability to perform this janitorial work. Over time, the buildup of toxins may lead to dementia. A study published in March, which included 283 adults whose average age was 77, revealed a link between daytime sleepiness and higher amounts of beta-amyloid. And in a study published last July, researchers reported similar findings in 101 adults whose average age was 63. “We don’t know exactly what explains the link between sleep and dementia, but it does seem that there is something about sleep and the clearing of beta-amyloid,” Yaffe says. Two small studies -- one published in December, the other in April -- showed an increase in beta-amyloid in people who got a single night’s poor sleep. But, the author of one of the studies points out, experts worry more about chronic sleep problems than one night of tossing and turning. There likely are other explanations as well. For example, Pillai says uncontrolled sleep apnea may cause numerous small strokes that lead to memory and thinking problems later in life. But recent research raises more questions than it answers. “A lot of the details are unclear regarding how sleep impacts Alzheimer’s disease and dementia in general,” Pillai says. Last June, a major report on dementia added hearing loss to the list of significant modifiable risk factors. “That’s the most important development of the last year,” Fargo says. Right now, though, experts don’t know what links hearing loss to dementia. The authors of the report suggest that hearing problems force the brain to work harder to understand what’s being said. Over time, that extra burden may cause harm. Or the dementia may come from social isolation. If your poor hearing does not allow you to participate fully in conversations, you may lose the brain benefits that come from that type of mental stimulation. As with sleep, it’s not yet known whether correcting hearing loss -- through the use of hearing aids, for example -- will reduce the risk of dementia. But Fargo says that mental stimulation, which includes interacting with others, appears to offer protection against dementia. “Social stimulation is huge,” Fargo says. Head injuries also have been tied to dementia. In a study published in January, for example, researchers studied the health records of more than 164,000 people who’d had a traumatic brain injury (TBI). Serious injuries doubled the risk of dementia, while repeated injuries nearly tripled it. Even after more than 30 years, the risk remained 25% higher than normal. Recent research also suggests that even mild head injuries make dementia more likely. Yaffe and her colleagues studied veterans who had had mild concussions but did not lose consciousness. In a study published earlier this month, she and her colleagues report that such injuries more than double the risk of dementia. More severe injuries boost the risk even higher. The relationship between head injuries and dementia makes sense. As Scharre puts it, “Head injuries can’t possibly be helpful for the brain.” Nevertheless, the link is complicated and not well understood. “Injury takes its toll, but we don’t know all of the mechanisms,” Yaffe says. Genetics may play a role. 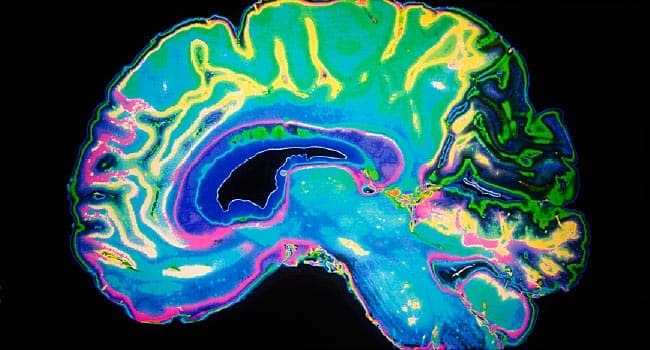 One gene known to increase the risk of Alzheimer’s disease, ApoE4, may also contribute to a heightened risk of dementia following a traumatic brain injury, according to a study published in September. Eventually, tests might be able to identify individuals whose genes make it more dangerous for them to play football, where head injuries commonly happen. Scharre says that by that point we may also know how to modify those genes to reduce risk before the first hit occurs. In the meantime, though, avoiding injury is your best protection. All of these dementia risk factors -- and more -- need to be better understood, and another question also must be answered: How do the risks relate to each other? And how might addressing those risks together influence the development of dementia? For example, Yaffe says, if you go to the gym, you may not only be more physically active but also more social, both of which are believed to help protect against dementia. That may also reduce your likelihood of developing depression, which some research has linked to dementia as well. “We’re starting now to do trials where we don’t look at just one factor, but try to look at risk factors together, because often they go together,” says Yaffe, who just began a 2-year study that will examine the impact of a combination of risk factors such as social isolation, sleep, and blood pressure, as well as diabetes, exercise, and certain medications. Experts agree that to reduce your risk of dementia, focus on three targets: exercise, mental stimulation, and heart health. “There’s a very clear scientific consensus that physical exercise and activity lowers your risk of dementia later in life,” Pillai says. Fargo says your goal should be to get sweaty a few times a week, but walking also may provide some benefits, if that’s all that you’re able to do. Scharre says mental stimulation can take many helpful forms, like solving crossword puzzles and playing strategic games like bridge, but he recommends activities that engage as many parts of your brain as possible. One example: conversation, in which you listen, pick up on non-verbal cues like mood, all while considering what you’re going to say and then saying it. “As you interact with people and make judgments, you’re using wide swaths of your brain,” Scharre says. Finally, maintaining your heart health will help keep blood flowing to your brain, delivering needed oxygen and nutrients. Obesity, high blood pressure, high cholesterol, and other factors can make it harder for your heart to do its job. Over time, that may damage your brain, so it’s vital to keep your numbers in the normal range. As with risk factors, however, these interventions need to be more thoroughly researched. Barnes, D. JAMA Neurology, May 7, 2018. Cao, J. Scientific Reports, September 12, 2017. Carvalho, D. JAMA Neurology, March 12, 2018. Keith Fargo, PhD, director, scientific programs and outreach, Alzheimer’s Association. Gottesman, R. JAMA Neurology, August 7, 2017 (online). Habchi, J. Nature Chemistry, May 7, 2018. The Lancet International Commission on Dementia Prevention and Care. The Lancet, July 20, 2017. Lucey, B. Annals of Neurology, December 8, 2017. Milne, N. Brain and Behavior, December 22, 2017. Norton, S. Lancet Neurology, August 2014. Jagan Pillai, MD, PhD, neurologist, Cleveland Clinic Lou Ruvo Center for Brain Health. Douglas Scharre, MD, director, division of cognitive neurology, Ohio State Wexner Medical Center, Columbus, Ohio. Shokri-Kojori, E. Proceedings of the National Academy of Sciences, April 9, 2018. Sprecher, K. Neurology, August 1, 2017. Kristine Yaffe, MD, professor of psychiatry, neurology, and epidemiology, University of California San Francisco, director, Memory Disorders Clinic, San Francisco Veterans Affairs Medical Center.